Every bride wants to look her best on her wedding day. Spring Lake Bridal offers on-site alterations by expert fitters trained specifically for wedding attire. As the alterations are done by a third party that is not an employee of Spring Lake Bridal, Appointments are required, and must be done within regular business hours. Most gowns do require customization once they arrive from the manufacturer. Proper under garments and shoes at the time of your fitting with our seamstress will assure your gown looks custom made for you once your alterations are complete. Give as much importance to your wedding gown alterations as you gave in purchasing it. We advise alterations to begin 6 to 8 weeks for bridal and 4 to 6 weeks for the bridesmaids, mother of the bride and flower girl dresses. Professional pressers are in charge of finishing your gown with pristine attention to each layer and detail on your dress. This is a final step in preparation for your special day. Your gown will be presented to you upon pick up with easy instructions on how to transport, and keep your dress fresh and ready for your walk down the aisle! 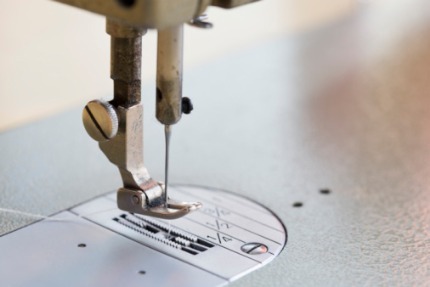 A reasonable charge will be made for your alterations and/or pressing. We will gladly accept dresses that were not purchased from our store for alterations. We understand that getting Alterations where you purchased your dress may not always be convenient to where you live. As the alterations are done by a third party that is not an employee of Spring Lake Bridal, You will pay the same price. Appointments are required, and must be done within regular business hours. We accept walk-ins for Bridal Appointments, but for Alterations you must make an appointment. Lana can meet you at Spring Lake Bridal or Her Studio in Holland. Nena can meet you at Spring Lake Bridal Or In Muskegon.